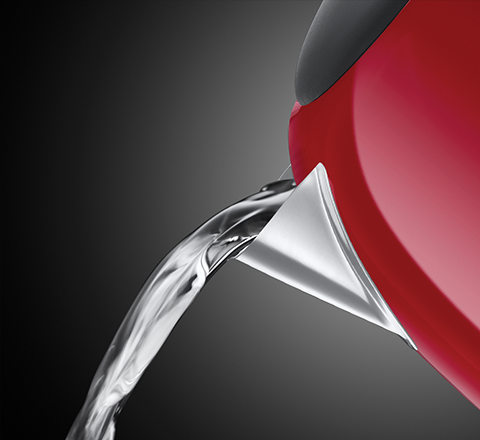 With a polished stainless steel red finish, and metal accents, the Worcester Red Kettle is the perfect example of pristine design matching perfectly with high performance.Thanks to the rapid boil zone feature, perfect pour spout, 1/2/3 cup volumes and energy saving measures, you can enjoy a hot brew effortlessly. The Worcester Red Kettle will make a great impression on your kitchen counter. It’s time to say goodbye to any splashes and spills on the kitchen worktop with the Worcester Kettles easy pour spout. 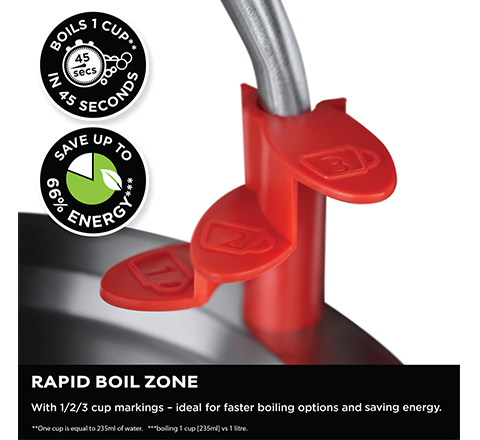 Designed to ensure you’ll always get a smooth and safe delivery, the perfect pour spout allows you to get a streaming flow of water straight into your cup.